Do weekends lead to family disagreements about who wants to eat what? 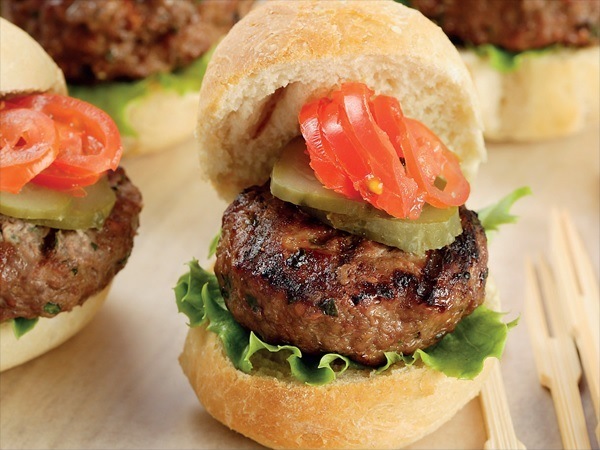 You want to have a braai and the kids want burger – with this delicious recipe you don’t have to choose one or the other! Patties: Mix the ingredients in a large bowl. Shape into small patties. Set aside to rest for a few minutes. Cook the patties over medium-hot coals until just done. To assemble: Halve the bread rolls and toast lightly over medium-hot coals. Place a few lettuce leaves on one half of each bread roll. Put a patty on top, followed by gherkin and tomato slices. Cover with the remaining bread roll halves and secure each with a cocktail stick or half a kebab skewer. Serve the hamburgers with a mustard-and-mayo dip.